As a global trading centre, Singapore offers a vibrant trade ecosystem, developed infrastructure, and trading channels to key international markets through trade agreements. Leverage on Singapore’s strength to bring your goods to a wider pool of consumers. Take advantage of Singapore’s first-class business environment to grow your wholesale trade business. We took the second spot in the World Bank's 2016 and 2017 annual rankings for the easiest place to do business, previously topping the charts for a decade until 2015. Freight forwarders who are members of Singapore Logistics Association can enjoy cost and time savings when shipping goods to Thailand and Malaysia through Singapore's Global e-trade Services. You can exchange information and structure deals effectively with the large pool of trading companies in Singapore. Singapore is Asia’s key marketplace for the world's largest trading companies. 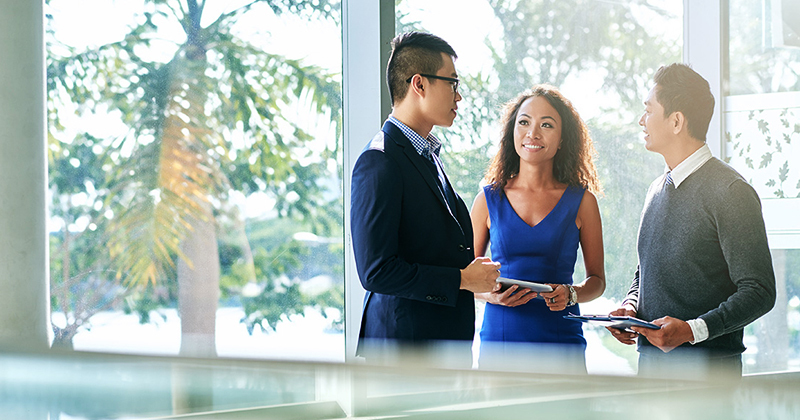 With more than 35% of international companies placing one or more top-level corporate executives in Singapore, you have easy access to key decision makers in the industry. You can also get support for your business from an extensive network of companies along the value chain – in financial, logistics, supply chain, and other related services. Join the Networked Trade Platform to connect with businesses, community systems and platforms, and government systems online. Use it to boost your operational efficiency and find new business opportunities. Networked Trade Platform is a one-stop platform offering a range of trade, supply chain and trade financing services. Launched in September 2018, it will replace TradeNet® and TradeXchange to better serve players in the wholesale trade value chain. You can access a wide range of trade-related services, including commercial services and government services, conveniently. At its launch, it offers 25 commercial value-added services in areas such as documentation, financing, and insurance. Another 90 value-added services are in the pipeline. Capitalise on Singapore’s strategic location at the heart of the Asian trade routes to reach out to the large commodity consumer market in the region. Around 30% of all Asian trade is conducted through Singapore, which is located at the heart of the world’s second busiest trade route for crude oil and petroleum transportation. Our world-class transport and logistics infrastructure moves your goods with ease and speed. As one of the world's top transportation hubs for sea and air cargo, we offer unparalleled connectivity to passenger and cargo. Access a big and steady pipeline of highly educated, highly skilled trading talent in Singapore – the largest in the world after London, New York City, and Houston. Local tertiary institutes offer programmes with hands-on internships for students, while Professional Conversion Programmes provide opportunities for professionals to learn new skills and make a career switch into the wholesale trade. This ensures our talent pool are equipped with the latest skill sets in this dynamic industry. Count on Singapore’s stable government, transparent legal framework, and strong rule of law to safeguard your business interests. Singapore is also the number one corruption-free Asian country. The Singapore International Arbitration Centre, top in Asia and seventh globally, handles more than 200 new cases annually, with 63% of these cases being trade or shipping-related issues. 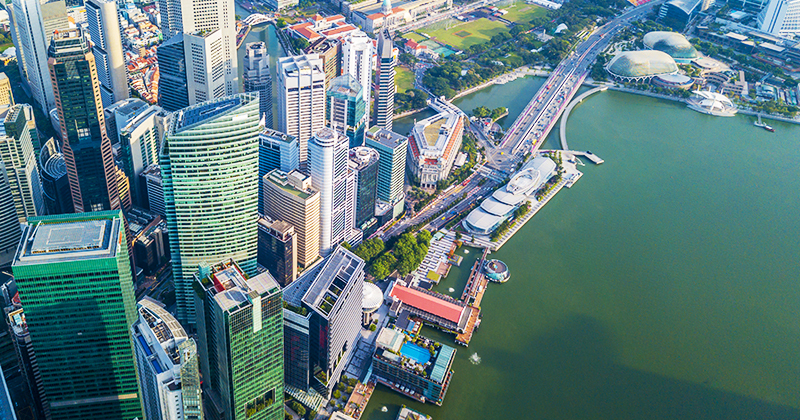 An increasing number of clients from China, India, South Korea, and the US are using Singapore for arbitration, highlighting the growing use of Singaporean law to anchor business contracts in Asia. Bank on Singapore's simple and business-friendly tax system to provide a sustainable and stable platform for your company’s growth. We offer competitive income tax rates for both companies (17%) and individuals (up to 22%). In addition, Enterprise Singapore’s Global Trader Programme offers reduced corporate tax rates to well-established international trading companies committed to expanding their operations in Singapore. Singapore has signed more than 70 comprehensive Avoidance of Double Taxation agreements with other countries. This means you do not have to pay the same type of tax to both states, making cross-border trade more lucrative.